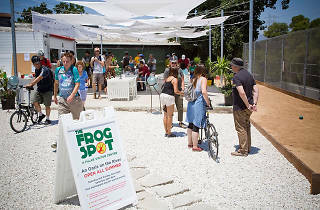 The Frog Spot is a community center and fundraising project for Friends of the LA River, and serves as a central gathering place in Frogtown—though it's only open during the summer, and only on weekends. 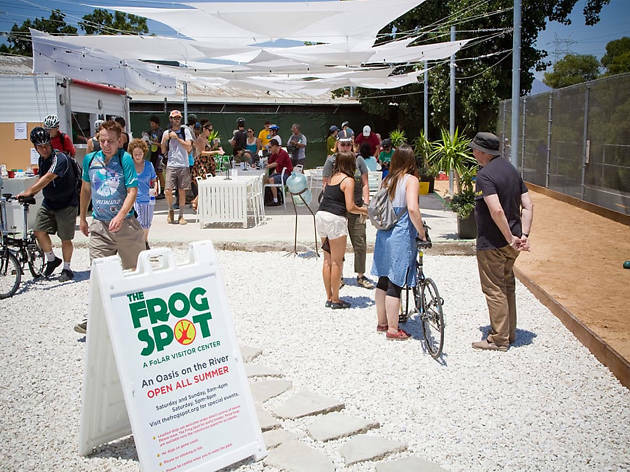 The spacious, open air center hosts music performances, art shows and other events, but it's also a great place to stop by during your bike ride along the river for a cup of coffee and a game of bocce. In the summer, a freezer chest full of popsicles is available. Visitors can also sign up for kayak classes at the Frog Spot, and there's a bike repair stand in case you're afflicted with a flat tire.